I'm playing along at The Hop To Stop where Becca, the inimitable Damsel of Distressed, is raising awareness for victims of domestic violence. I sprinkled Paper Artsy Infusions through a Donna Downey Donna's Blossom 3 stencil on mixed media paper and spritzed to activate the Infusions. I removed the stencil and once everything was dry I added a colour washed background, stamped a sentiment and added some Walnut Stain Distress Stickles in the centre. Then I turned the stencil over and laid it on a fresh piece of mixed media paper to soak up all the colour. 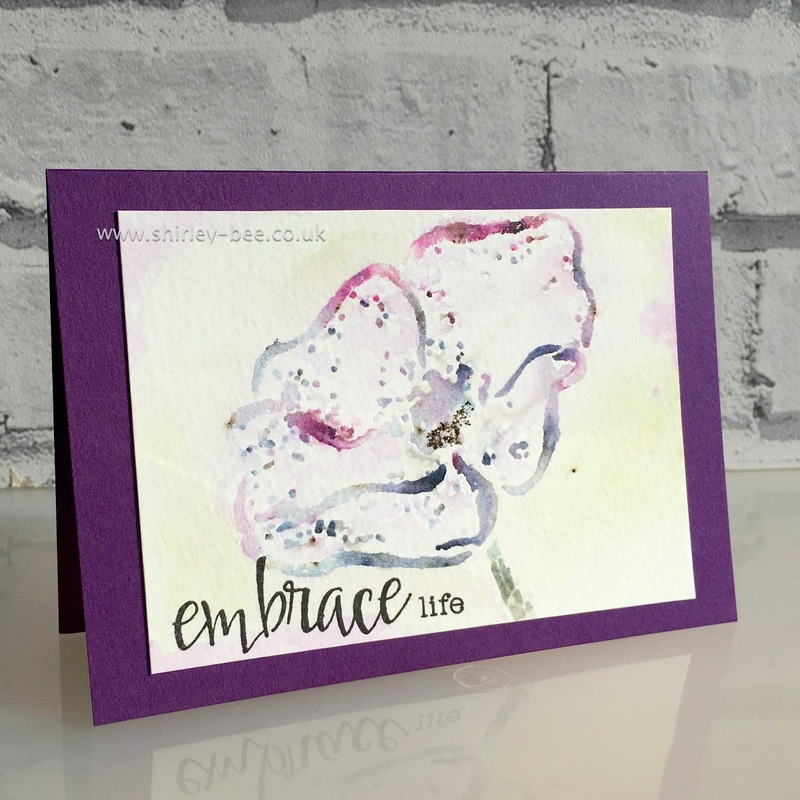 Once it was dry I replaced the stencil and sponged Wilted Violet Distress Ink to define the outline of the flower, and added some tiny dots with a fineliner to further emphasise the outline. Pop on over to Becca's hop and play along - she's got some fabulous sponsors! Love Donna Downey's stamp and love the artsy Shirley treatment you've given it. Gorgeous designs! 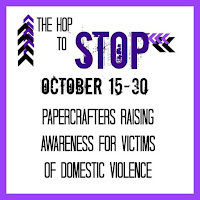 Thanks for creating for the Hop to Stop and raising your voice for victims of domestic violence. Simply stunning....so in love with your gorgeous flower. Wow! Your card is amazing...you mentioned supplies and techniques that are new to me--and it's always great to learn new things. 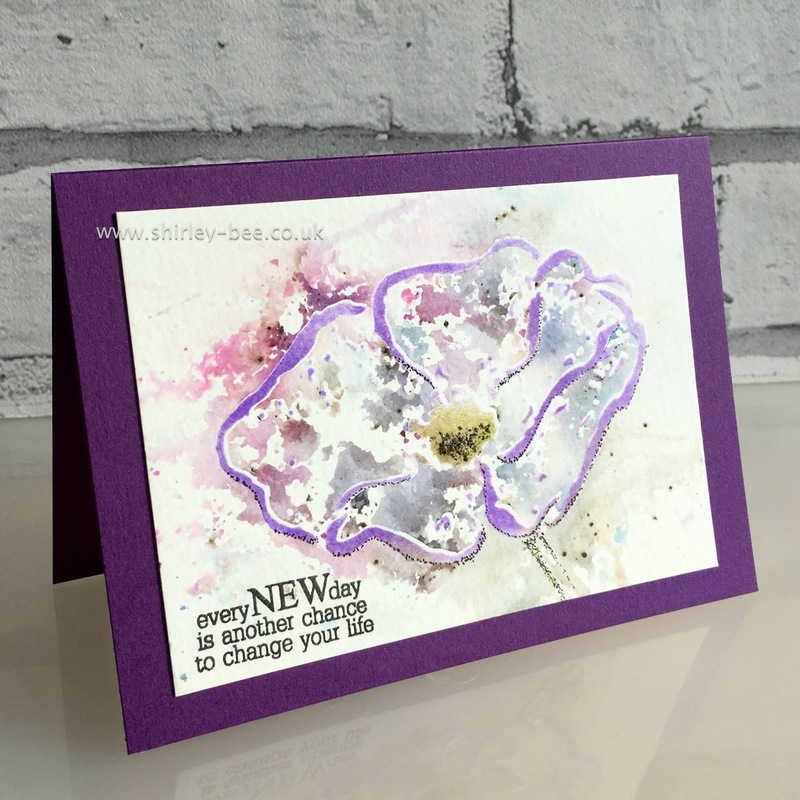 Thanks for sharing this stunning card and its very encouraging sentiment! Gorgeous! The colours are so beautiful. Such a powerful sentiment. Beautiful and artsy card. Wow, what great techniques to end up with a fab finished card! Wow! Your card is gorgeous and I love that sentiment!